One of the highlights in the Hotel Schönruh RelaxSPA is the 14x6 meter swimming pool with a wonderful panorama view of the unique Tyrolean mountains. The stylish panoramic indoor swimming pool in the wellness area of our house with relax benches and a quiet relax zone is an ideal place to chill. Enjoy our pool and do something daily for your fitness. 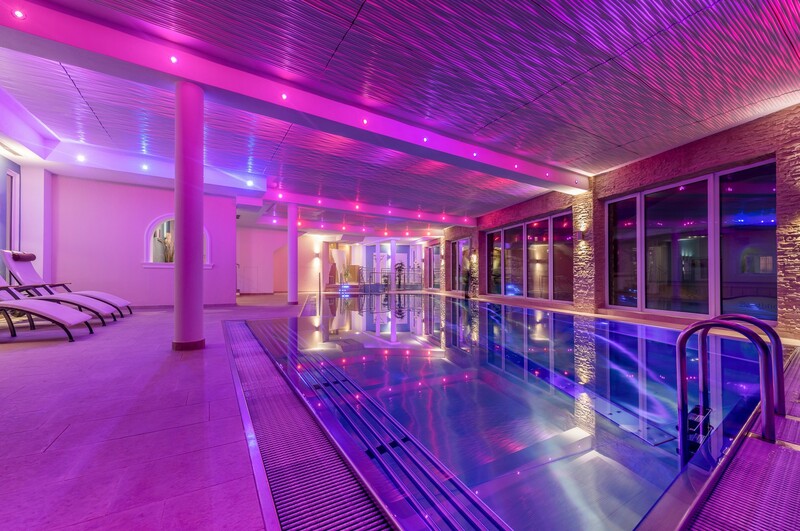 A very special atmosphere is created by the integrated light play in the ceiling, which fills the pool area with beautiful lighting effects. Pleasant temperatures ensure the best swimming conditions. An incomparable bathing experience of the very special kind.